Hi, my name is Karen and I’m the owner/creator of Neddynibbles. I make a wide range of colourful aprons and have recently added photo greeting cards to the last couple of Montage stores. It is hard to believe that Neddynibbles is now in its 5th year. It has been a very interesting journey and I am very proud of where I am now. Since I was a child, I have always been into crafts of all shapes and sizes, and have always wanted to make a business out of what I love to do. I can’t remember a time when I haven’t been creative. My mum taught me to knit and crotchet before I’d even started school and I have always had many crafty things on the go at once. It is just a part of who I am. 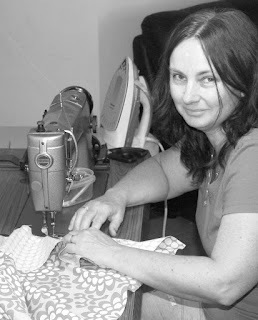 I have done everything from making hand-stitched teddy bears, paper tole, macramé, paper crafts, jewelery, polishing rocks, cross stitch and embroidery, but have built my business with my love of sewing. 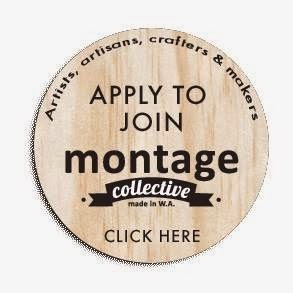 I was one of the founding members of Montage so have been involved right from the beginning in our first shop in Fremantle. Being a part of Montage is like being a part of a family who understand my passion for creating. I have met some wonderful people who I now call my friends. It is also lovely to have my items on display for people to enjoy and purchase. I’ve found that my greatest challenge has been finding the time to sew. I have recently made the decision to work my business full-time instead of a hobby, and am really looking forward to expanding my range of aprons and getting all the new ideas out of my head and onto the sewing table. Out of all the styles I make, my favourite is my little girl’s apron which has box pleats across the bottom. 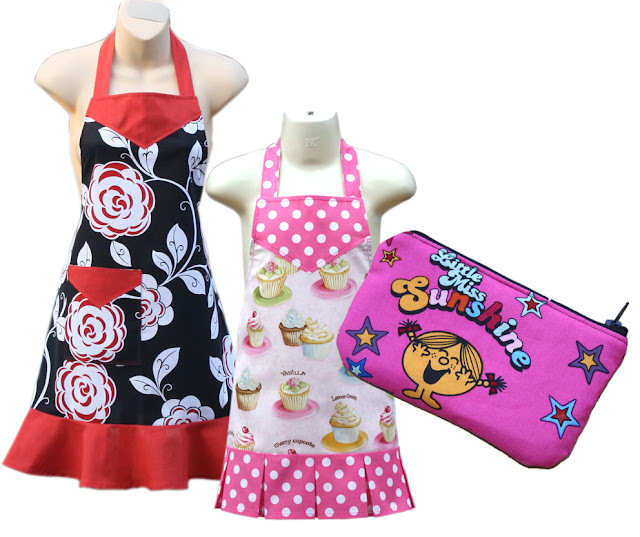 There are so many cute fabrics for children and these aprons always look beautiful. I have also just made myself an apron and I chose a style that I designed just before Christmas, one of my plus-size styles which is a great apron for me as it gives me more protection when I’m cooking. What sets my aprons apart from others in retail shops is that they are made to last, each item is individually cut out and sewn with the best quality fabric and thread and as I usually only purchase small quantities of each fabric, they are all very unique. The thing that surprises me most about my business is that so many people still wear aprons. I have sold almost 800 in Australia and around the world and it makes me very proud every time someone buys one. Hand-made items are made with love and it is wonderful to see there are so many clever people still making beautiful things and I always buy gifts from craft markets and Montage. I am very excited about what is in store for Neddynibbles in 2013. Being the first year I will be working full-time on my own business, I will have more time to work on new designs, new Montage stores and would love to get my aprons into some little boutique stores. I am also just starting to experiment with a range of coin purses, wallets and little girl’s handbags.